"5 years ago I had three RF controlled light switches each on a different channel. I wanted to combine the three remotes into one and this is the result. 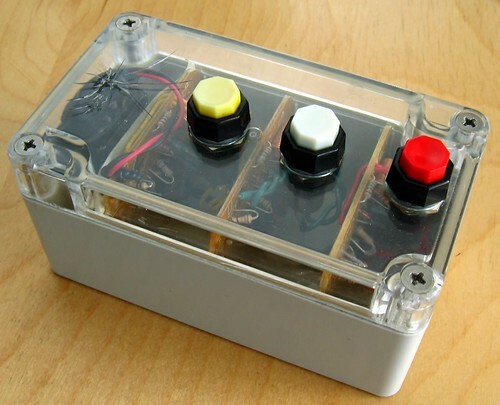 I added 3 new colored buttons and powered all three with one battery. It is cheaper than X-10 and the receivers will properly handle non inductive and high amperage loads. I did not modify the reciever ends at all."